The Vancouver School of Economics is proud to present, in partnership with CCPA-BC, the 2014 Gideon Rosenbluth Memorial Lecture. Economist Emmanuel Saez will present “Income and Wealth Inequality: Evidence and Policy Implications”. The lecture will discuss income and wealth inequality—including the role of technology and globalization, education, government regulations and tax policy—based on evidence gathered by a collective group of researchers in the World Top Incomes Database. The database, which Saez developed jointly with Thomas Piketty, measures income patterns across more than twenty countries. Saez will summarize the key empirical findings, and highlight Canadian data on inequity and the top 1%. 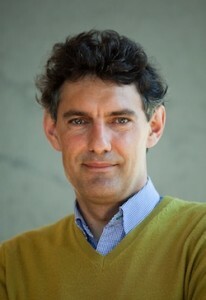 Emmanuel Saez is Professor of Economics and Director of the Center for Equitable Growth at the University of California Berkeley. His research focuses on tax policy and inequality both from theoretical and empirical perspectives. Jointly with Thomas Piketty, he has constructed long-run historical series of income inequality in the United States that have been widely discussed in the public debate. He received his PhD in Economics from MIT in 1999, and was awarded the John Bates Clark medal of the American Economic Association in 2009 and a MacArthur Fellowship in 2010. Gideon Rosenbluth was a long-time research associate with the Canadian Centre for Policy Alternatives and a highly respected member of the UBC economics department, and the economics community in Canada and around the world. His rigorous approach to scholarship and community involvement was guided by his commitment to social justice. Among his many roles, he was president of the Canadian Association of University Teachers and president of the Canadian Economics Association. In honour of Gideon, CCPA and the Vancouver School of Economics are pleased to host the annual Gideon Rosenbluth Memorial Lecture. *Admission is free but space is limited. Please register to reserve your spot.